No human photographer could capture this aerial photograph. 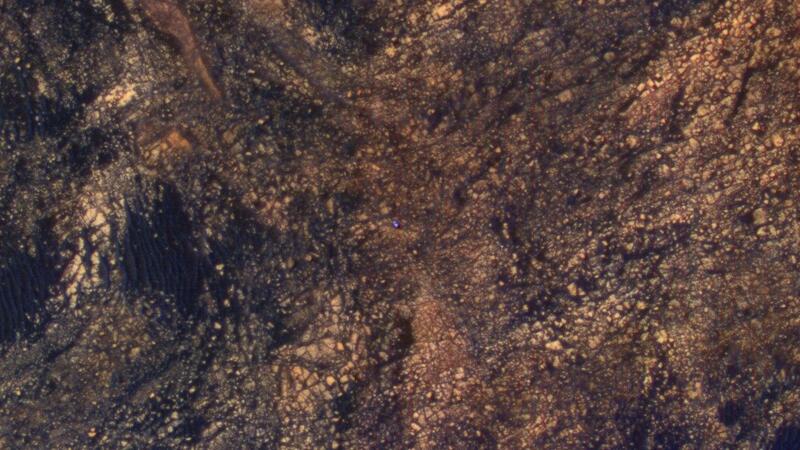 That’s because this image is literally out of this world – it was captured by NASA’s Mars Reconnaissance Orbiter on June 5th, and shows the Mars Curiosity Rover as it traverses the red planet, approximately 241,500,000 miles away from where I sit typing this right now. The photograph was taken by the NASA Lunar Reconnaissance Orbiter using its High Resolution Imaging Science Experiment (HiRISE) camera, which captures a red band, blue -green band, and an infrared band, combining these together to form an RGB image. 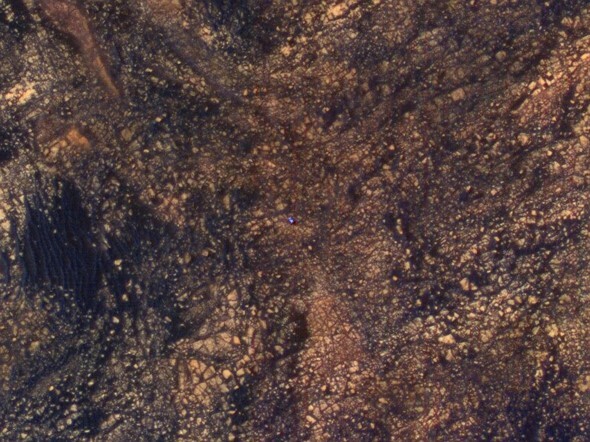 Because of this, the photograph is not a so-called ‘true color’ image, and the orbiter appears bluer than it actually is. 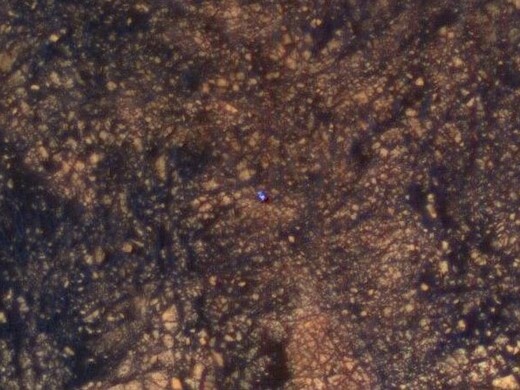 Oh, and if you’re curious, you can actually see what Curiosity was seeing when this photo was captured. The rover was using its Mast Camera to shoot these photographs of the Martian landscape while its picture was taken.